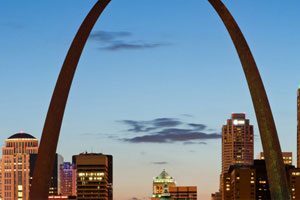 Where Do You Get an Abortion in St. Louis? Faced with an unplanned pregnancy, there can be a lot of things that run through your mind. The shock can lead to disbelief, until you look at the test again. If you are looking for an abortion in St. Louis because you aren’t ready to be a parent, you may feel alone and unsure which way to turn. We understand the panic you may be feeling. Please take time for a pre-abortion screening before making a decision. Take a deep breath, find a comfortable, safe place where you can relax, and answer some questions (to–and for–yourself) that will help you get a better handle on things before you schedule a procedure. We want to make sure you make the best choice for you, an informed choice, and one you won’t later reevaluate. Did You Get a Pregnancy Test? First, have you taken a pregnancy test? Sometimes home pregnancy tests can be wrong, or expired. Or, due to many pregnancies that end during the first three months, or first trimester, you may not actually be pregnant. Thrive St. Louis offers free, medical-grade pregnancy tests to women who are considering their options. Please come in and let us give you clear answer. If the pregnancy test comes back positive, the next step is to find out if the pregnancy is viable by using ultrasound technology. There are a number of reasons a pregnancy test can give a false positive, including use of some prescription medications. An ultrasound is important in order to tell if the pregnancy test was accurate and to tell how many weeks along the pregnancy is. It can also tell if there are any circumstances that make the pregnancy non-viable, such as an ectopic pregnancy or no heartbeat. An abortion performed on a woman who is not healthy could pose great risk. If you have an undiagnosed STD or STI, the abortion procedure can cause pelvic inflammatory disease (PID). If it occurs, it can cause serious damage to internal reproductive organs, and can cause infertility and pain. At Thrive St. Louis, we offer free, confidential STD/STI testing for women facing an unplanned pregnancy. The test screens for all major conditions including Chlamydia, Gonorrhea, Herpes, and Syphilis. A positive test will lead to treatment, reducing the risks to you and the fetus. This can be one of the most difficult and challenging times in a woman’s life. Sometimes women feel isolated and are afraid to talk to friends, forgoing the natural support they would offer. At Thrive, we don’t want anyone to feel alone. We are here to offer support, advice and qualified assistance, no matter what path you ultimately choose. All we want to do is be there for you. To help you in whatever way you need us. Please contact us today for a free pregnancy test, ultrasound screening, or STD/STI test.